I'm ticking items off the vacation to-do list. We're heading down south next week, and we need new luggage. Our old K-Mart duffel bags disintegrated, so I just ordered some better ones from LL Bean. Hopefully, we can convince Ian that he's too old for his beloved Thomas the Tank Engine suitcase on wheels. I would love to leave for vacation with four tidy duffel bags in the trunk and nothing more. No random plastic bags of last minute toys and sneakers that wouldn't fit in the bags. Yeah, that's not going to happen. We went to Yellowstone last month, and we’re talking about going to Niagara Falls at the end of August, but I’m getting cold feet. We’re spending Thursday night on Cape Cod, hosting my SIL Friday to Sunday and going to NY for a Mets game and various birthday festivities (we have 3 family birthdays in one week) in mid-August. My husband just bought new luggage for the kids. No idea from where, but it wasn’t Bean. We returned from Glacier National Park a week ago and I am still suffering from post-vacatin depression. It has never lasted this long, but I have never been to a place more perfectly suited to the type of lifestyle I crave. Next year Big Bend, TR Nat’l Park, Mt. Rushmore and Badlands. (We’ll combine the last three into one trip.) Then Yellowstone, Yosemite and Grand Canyon. We are trying to show the boys as many National Parks as possible (at least one a year) and expose them to the best the US has to offer. BTW .. I like the REI duffle bags better. We went to North Carolina to the beach and then to London–both great fun! We have a trip planned to my mother’s next week. I’m excited about doing some touristy things which we never do because we always just sit at my mother’s house. But we’re staying in a hotel with a pool downtown, so we have easy access to lots of fun things. I’m trying not to be too anxious about the “visiting my mother” part. Usually we come to blows over something. We’re going to London (finger crossed that nothing interferes). We will take 2 large wheeled suitcases (we’ve decided the Rick Steves brand is better than all the rest) and a wheeled duffle. Our kids are allowed individual bags of toys but are not allowed to add last minute items. On our last trip, the boy sneaked a magic eightball into his carry-on backpack after his dad had told him not to. Guess what happened? I think he may have learned a lesson. The TSA agent felt sorry for the wide-eyed boy, but he was OK with it. Our packing tendencies are strongly influenced by the fact that we usually fly when we travel on vacation. We plan more European trips in our most immediate future, potentially some light adventure travel to South America. We have a plan in mind to travel in Asia, but we want the boy to be heavier, so that he can handle the onslaught of intestinal viruses without ending up in a hospital. Glacier National Park was my first view of Alpine mountains. We took the Empire Builder Train there. Fabulous place, and, at least back then, under-utilized. We stayed in a cabin on an alpine lake and I was awed by the mountains (and the knowledge of how deep the lake was). During the Webkinz craze, we’d find that my daughter had packed her suitcase full of Webkinz but with very few clothes. We got used to stopping at the nearest Walmart to pick up pajamas or a few shirts. My husband has what he calls the yogurt test. He likes to bring something to eat on the flight, and he would prefer to bring a yogurt from home. It ends up in his carry-on baggage. If they don’t stop him and take away the yogurt, he chortles to himself as he eats the yogurt on the plane. re: luggage. We decided that duffel bags, rather than wheeled suitcases, were better for car travel. They’re lighter and easier to carry up flights of stairs. I’ve heard good things about the Rick Steves’ suitcases, though that man is unbearably geeky. Been checking out the website for Glacier National Park. Wow. Really have to go there. I’m not sure that the first week of October counts as “summer,” but I’m attending a weeklong convention of birders in Providence, R.I., with field trips to various New England wildlife refuges, including Block Island. I’m driving myself, so the car will be crammed with various totes and gear. I did recently spend $85 repairing hardware on two pieces of luggage. More satisfying than buying new kit. I’ve heard good things about the Rick Steves’ suitcases, though that man is unbearably geeky. I admit that I would not been seen in public with anything visibly labeled as “Rick Steves” even on a continent where I don’t know anybody. If it isn’t labeled, sure. And we have a rolling Thomas the Tank Engine suitcase. Paris and London–attended a friend’s wedding in London, and who wants to spend time there, so we opted for Paris since Pesto’s never been. Due to a consulting gig, I also ended up in Italy/Switzerland too. While not technically vacation, I did have ample time to do some sight-seeing. Currently in Providence, RI for the balance of the summer….beach, golf, etc. David, you should check out these guys. The entire blog is pretty good, too, and can give you a taste of what you might see. We roadtripped to Maine with our 2 and 5yos. Camping on the way up and down (from Philly). Stayed with friends in Bangor and Portland. I love Visiting Friends kinds of vacations. We do vacations for pretty cheap. Between camping and staying with friends (we’re lucky to have the best friends in the world). We buy food at the grocery store. I don’t think we ate at a single restaurant, including fast food. It was a blast! Late to the party as always. The East Coasters (my dear friend who is also my sister-in-law, her daughter (aged 26), and almost-a-daughter friend) and the West Coasters (my daughter (aged 21) and me) are meeting for the second year in a row at a ranch + spa in British Columbia. Horseback riding, hiking, flyfishing, an authentic Thai spa and Thai food plus great European food…. It’s pricey, but it’s worth it for us. My dear friend SIL is also coming back to California for ten days, and we’re going from San Francisco to LA & Malibu — the Getty Museum to see the Gérôme exhibit. Like the ads say, “two days one night”. 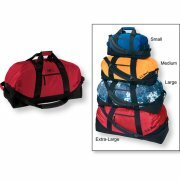 Luggage: we have both wheeled and non-wheeled duffles, plus conventional suitcases. My Lands’ End soft suitcases purchased in 1985 are still on duty.